The Vivo NEX made quite an impression, could it be overshadowed so soon? These days there aren’t many design elements that distinguish smartphones. Besides screen size, notch type and camera arrangement, there is little more that separates how to most devices look, and often even these elements are the same. That’s not always the case when it comes to Chinese phone maker Vivo, however. Just recently, we got our hands on its smartphone with two displays and no selfie camera, a unique approach to the whole “front facing camera getting in the way” problem. A few days ago we saw the first teaser of Vivo’s next smartphone, codenamed The Waterdrop. The images we got were vague at best and left a lot to the imagination. The good news is that we won’t have to wait long before we get to see the real thing. A poster coming from Vivo and shared by the notorious leaker Ice Universe on Twitter shows what can be described as a twisted waterdrop, accompanied by the date 2019.01.24. Assuming the image is legitimate and we’ll soon see it posted officially by Vivo, it means that the announcement of the new device is just nine days away. So what can be so interesting about this device’s design? The main theory, based on the scarce information we have, is that the phone will have a unibody design. This means seamless transition between the back panel and the display. How would one assemble such phone? Or disassemble it for that matter? We don’t know, but Vivo might have found a way. That is unless we’re being misled by some marketing trickery (fingers crossed we're not). When the mysterious phone was first hinted, the same informer said about it: "I can guarantee that you have never seen a similar phone design, this is the first time in the history of mobile phones." This statement makes us believe that even if the unibody theory is wrong, we’ll get to see something extraordinary, which is totally fine with us. Mark January 24 on your calendars, folks, whatever is coming will be worth checking out. Vivo is a very innovative company. Deffo, they have always attempted to think outside the box unlike many of their chinese contemporaries. Shame oppo/vivo has no UK presence. Oppo have in the last few days opened a UK twitter account announcing that Oppo are coming to the UK shortly. Article could be much better as we already know what the phone is. 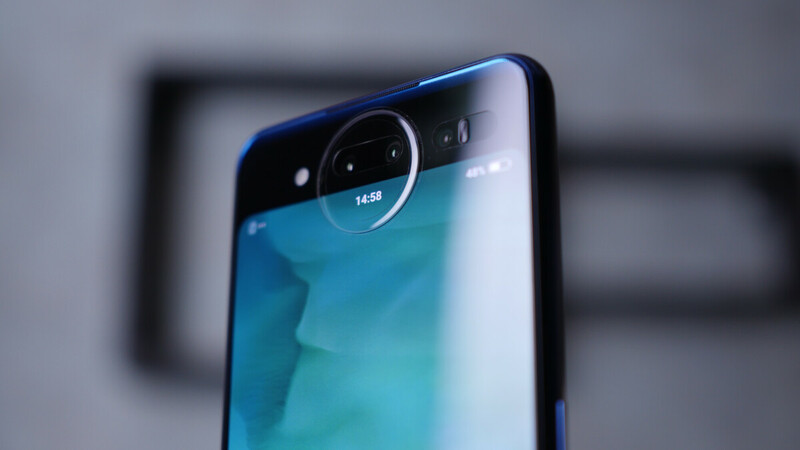 It's been shown in full and online with another smaller screen on the back with a circular bulge that hold the selfie camera and can light up in different colours for notifications etc. Source? Are you mixing this with something else. You're confusing it with the Vivo Nex Dual Display which is already available. When this is released the iSheep will claim it's a copy of the 2022 iPhone. Very interested to see what they do. The regular Nex is already a beast of a phone and the Dual Display sequel is even cooler (shame about the smaller battery though). Though if the rumor of it being a unibody phone with no buttons is true, then I imagine it will not have a headphone jack either.